Successfully leveraging that opportunity — bringing together sensors, connectivity, cloud storage, processing, analytics and machine learning to transform business models and processes — requires a plan. Before you start the hardware and software design, and before you figure out how to engage developers, he says, you need to start with a better set of questions. Rossman says there are three key phases to building a successful IoT strategy. While he presents the steps sequentially, he notes that many steps are actually taken concurrently in practice and can be approached in many different ways. First and foremost, Rossman says, you must narrow and prioritize your options. IoT presents a broad swathe of opportunities. Success depends upon understanding your market, evaluating the opportunities with deliberation and attacking in the right place. It all begins with a landscape analysis. You need to thoroughly understand your industry and competitors — strengths, weaknesses, opportunities and threats (SWOT). This will help you see the megatrends and forces at play in your market. Technology has revolutionized nearly every industry, from filmmaking to healthcare to retail and beyond, leaving no business untouched. The next step, Rossman says, is to create a value-chain analysis and profit-pool analysis of your industry. It should be a broad view of the industry, don’t give in to tunnel-vision with a narrow view of your current business. In some cases, this may involve launching a business in one part of the value chain as a way to gain perspective on the rest of the value chain and to identify other business opportunities. Create a map of other solutions providers in your space to develop a clear understanding of what exactly each one does, who their key clients are and what their IoT use cases are. Rossman says you should even pick a few to interview. Use this process to understand the needs of customers, the smart way those needs are already being met and where the gaps are. The next step, Rossman says, is to document specific unmet customer needs and identify the key friction points your future customers are currently experiencing. “Following the path from start to your desired outcome can help you identify details and priorities that might otherwise be dealt with at too high a level or skipped over entirely,” he writes. Design ways to assess the success of your work. You might undertake some early IoT initiatives purely to gain experience, with no expected ROI, he says. Once you have all these analyses under your belt, you need share what you’ve learned with the rest of your team. Rossman says he’s had the most success articulating these learnings by building a flywheel model of business systems and by developing a business model. Once you’ve explained your big idea and why your organization should pursue it, you need an IoT roadmap that helps you plan and communicate to others what the journey will be like, what is being built and how it will work. 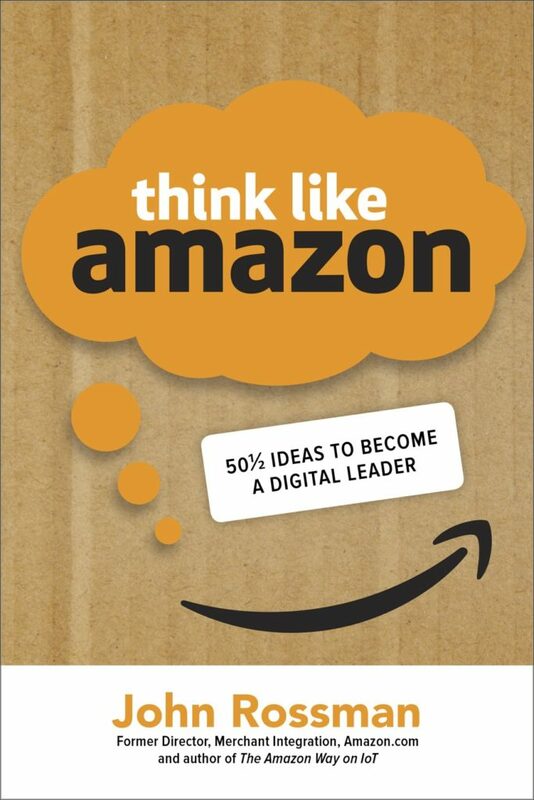 “In creating your roadmap, embrace on of Amazon’s favorite strategies — think big, but bet small,” Rossman writes. In other words, you need a big vision, but you don’t want to “bet big.” Make small bets to test your thinking. This can involve creating a prototype, a minimally viable product or jointly developing a project with existing customers and partners. The future press release. Develop a simple but specific product announcement. This forces you to clarify your vision, Rossman says. A FAQ for your IoT plan. Forecast some of the questions you’re likely to get about your product and create a frequently asked questions (FAQ) document to answer them. A user manual. Develop a preliminary user manual for your IoT device. It should address the end user. If the product includes an API, you should also build a user manual for the developer. A project charter. Write a project charter. This is a written project overview that outlines the key facets of the project. It should help you understand the resources you need to undertake the project, what the key milestones are and the schedule. The last step is to identify and map your IoT requirements — the technical capabilities you need to make your solution a success. “Companies use many different types of approaches, such as use cases, user stories, process flows, personas, architecture specifications and so on to document their requirements,” Rossman writes. Regardless of the requirements methodology you settle on, Rossman says it’s important to answer questions around insights (data and events), analytics and recommendations, performance and environment and operating costs. What problem, event or insight is the end user solving for? What insights would be valuable to the customer? What recommendation or optimization using the data would be valuable to a customer? How responsive will “adjustments” or optimizations need to be (specify in time range)? How complex will the “math” be? Write the math equation or pseudologic code if you can. Will notifications, logic, “math,” or algorithms be consistent and fixed, or will they need to be configurable, updated and managed? Estimate the amount of data transmitted over a period of time (hour, day). What are the consequences of data not being collected? What are the consequences of data being collected but not transmitted? What operating conditions will the device and sensor be in? Temperature, moisture, pressure, access and vibration are example conditions. What device physical security needs or risks are there? Will the IoT device or sensors be embedded within another device, or will they be independent and a primary physical device themselves? What is the cost per device target range? What is the cost per device for connectivity target range? What is the additional operating cost range the business can support for ongoing operating infrastructure? Hello Mr. Rossman. Is this the forum in which you choose to communicate? I just finished audio booking your amazon IoT book. 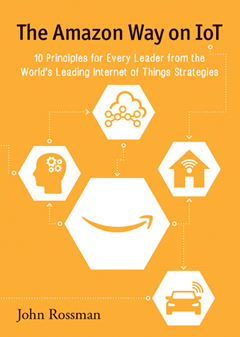 It is an excellent book about how to take a view of IoT! I also have come to the fly wheel perspective to IoT as I have researched into this market. I just have a some what different perspective to how to produce a fly wheel “network effect” to an IoT market concept. We do both have the customer in mind first and foremost though. I wrote a post on LinkedIn about a year ago about this very subject matter before coming across your book. Could I interest you to read it and possibly garner a conversation between two like minds in the way of viewing IoT? ?